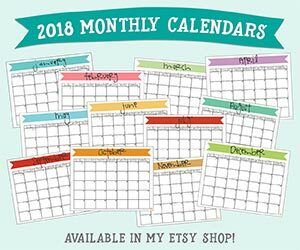 You are here: Home / giveaway / a year with six sisters’ stuff :: a review & giveaway!! i’m so happy to offer you a book review & giveaway for the new “a year with six sisters’ stuff” cookbook! you might remember i did a post on their first book (which you can find here), and i totally loved it. this new one is just as great. there are 52 “menus” – enough for you to try a new menu every week of the year. each one consists of an entree and includes some kind of side, drink, and/or dessert. so when you’re wondering what to have for dinner, it’s all laid out for you from start to finish. it was hard to decide which menu to try out first – all the pictures in the book look delicious. and equally as important for someone like me who is constantly needing a relatively quick meal to make on weeknights, it made the decision that much more difficult because they all fill that need! the menu i finally settled on was #30: 5-star grilled chicken teriyaki, fresh vegetables with vegetable dill dip, and raspberry lemonade cupcakes. after my own husband took a bite, he agreed! it was a really easy main dish that marinated in the fridge all day and then took very little time to barbecue. it’s the perfect “make-ahead” sort of meal that i can put together earlier in the day and then forget about until it’s time to cook it. 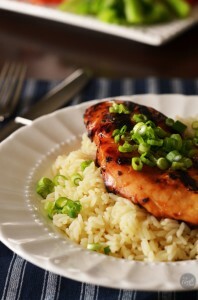 we served it on a bed of rice and topped it with sliced green onion. it looked great and tasted even better! a hit in our household, for sure. this is another great recipe to be able to assemble ahead of time and forget about until dinnertime (or snack time, or party time, or whenever!). it was really quick and easy to mix together the ingredients for this dill dip and refrigerate for use later in the day. and with so many vegetables that are low maintenance (ie. no prep involved) such as beans, grape tomatoes, and baby carrots, it took maybe 5 minutes to have every single thing ready to throw on a platter. this is the recipe that won me over. these cupcakes look so darn pretty with the pink icing and little bits of raspberry strewn throughout. but let me tell you – the taste of these cupcakes is even better than their appearance! the lemon zest and raspberry lemonade concentrate brightened the flavor to the point where i imagined it was summer outside even though it was the middle of february. based on the great experience i’ve had with only this one menu so far, i’m sure to be trying out more of their menus and recipes in this book. i’m sure my family will enjoy them all as much as they have this one! speaking of trying more of their recipes…this just might be my next one to try…. would you like to enter to win a copy of this fabulous cookbook? silly question, i know! all you need to do is enter (below) for your chance to win! pretty easy, right? good luck to everyone! and happy (easy) menu planning! I would want to eat the cupcake first, of course! Then the chicken. Yum! First I’d try the Vegetable Dill Dip. probably the dip — my kiddies need to be tempted into eating veggies. thanks for the chance. I love Six Sisters Recipes. This would be a great addition to any recipe library! The cupcakes, but dessert should always come first! I would take a bit of the Raspberry Lemonade Cupcakes. Yum! That dill dip looks delicious and perfect for summer! The raspberry lemonade cupcakes, of course! The veggie dill dip looks really good, but I think my kids would really like the Onion chicken. 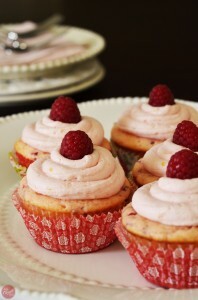 Mmmm….I would first try the raspberry lemonade cupcakes….they look delicious. First the cupcake, then the chicken! 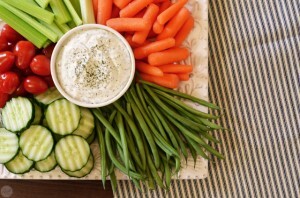 The Vegetable Dill Dip looks so yummy to me! I’d have to try the chicken teriyaki first! I would try the raspberry lemonade cupcakes first. I have tried some of their other recipes and have always been pleasantly surprised. I want to try the veg. dill dip first. Great for spring and all of the garden veggies! I would LOVE to try the raspberry lemonade cupcakes! Yummy! I would like to try the raspberry lemonade cupcakes first. Gosh hard to choose dessert would be the raspberry lemonade cupcakes and dinner I would choose one of the delicious chicken recipes and after that ……..! I’m now following your blog. I did all the entries but it only says 9 instead of 10?